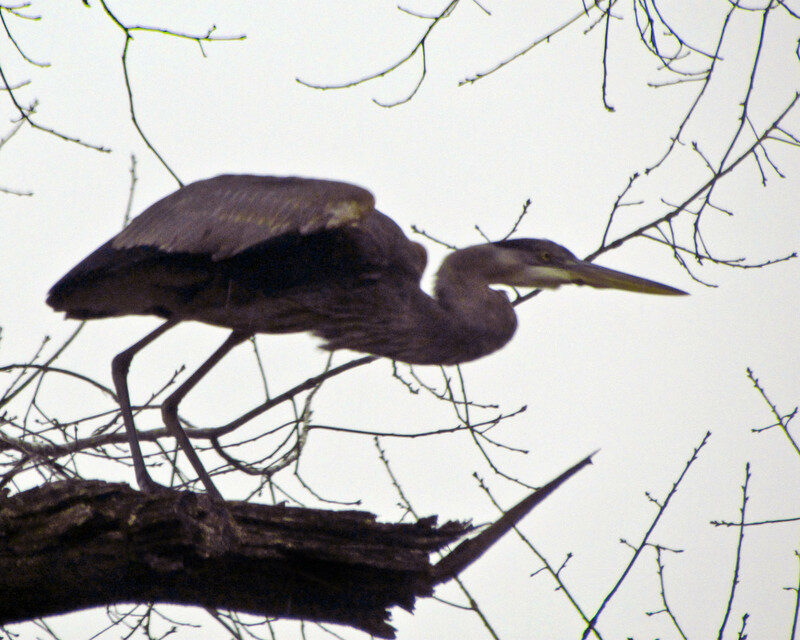 Great Blue Heron about to take flight into the new year. The handsome creature above was kind enough to park itself on a large oak in our backyard on a cloudy New Year’s Day. Wonder Spouse grabbed my camera (it was closer) and managed to catch the Great Blue Heron just as it tensed before gliding down to the creek. As we can imagine the bird’s great wings expanding wide for flight, so can we imagine ways to expand our gardens. Over the decades, I have become a more selective gardener. In early years, I planted any plant offered me, and rarely looked farther than my local stores for transplant possibilities. I am now much more selective, saving the diminishing choice spots in my yard for specimens like the Persian Ironwood (Parrotia persica) I’ve told you about before here. In that post, I mentioned that I’d never seen my specimen bloom. Having read that the flowers are inconspicuous, I thought perhaps I’d overlooked them on my tree. But now I’m fairly certain that my tree had simply not bloomed for me — until now. 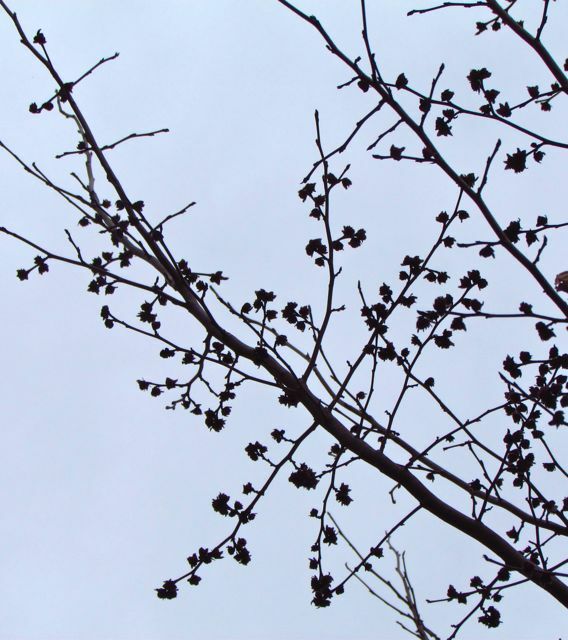 Now all the upper branches are covered in fat flower buds just beginning to show hints of maroon petals within. Those are all fat flower buds on the high branches. I finally found one bud within reach of my camera that was showing the color of the strappy petals. Lower branches are still holding on to browned leaves, but the reddish tinge of flower petals is visible here. 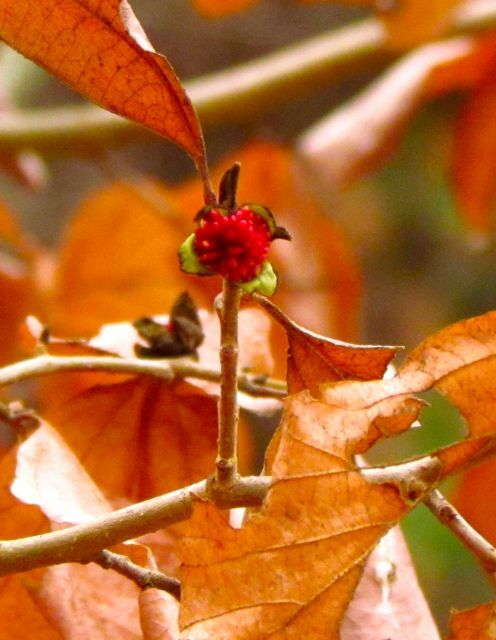 The flowers are not showy, unlike the spectacular fall color display of the leaves. But their appearance expands the presence of this specimen tree, making it a magnificent year-round addition. 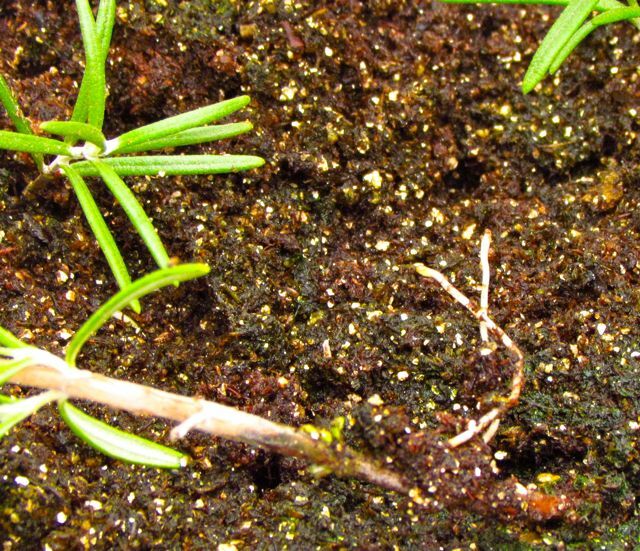 My garden expands as my transplants mature and prosper, but I have other ways to increase my garden’s presence in the world — by sharing it with others. Like most gardeners, I’ve been giving away plants for many years. Some special plants just love to multiply, and it gives me great pleasure to share them. My shared wealth expands my garden’s reach to both ends of my home state and many points in between. I hear from the owners of those distant gardens when one of my garden babies blooms. 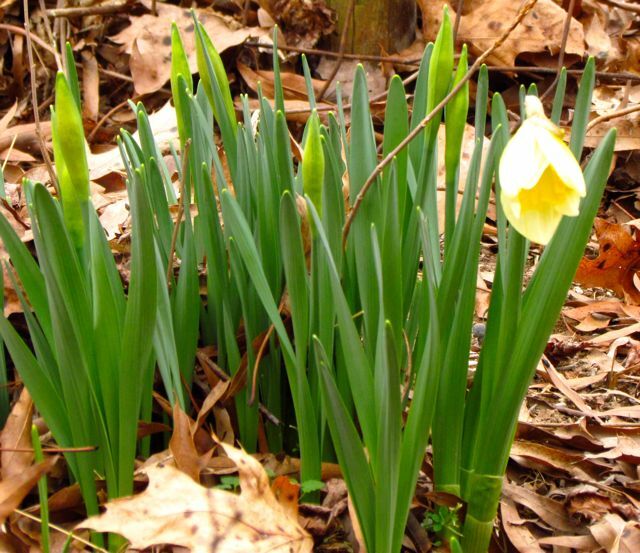 It’s fun, for example, to hear whose daylily bloomed first and for how long. It delights me to know that sometimes my garden expands itself by transferring the gardening bug to others. A housemate from graduate school — a city girl with no experience with the green world when we first met — told me years later that she plants a vegetable garden every year now. Working the garden with me — and tasting the results — persuaded her of the benefits of this pursuit. I am thrilled every time I manage to bring another soul over to the green side. In recent years, I’ve expanded my garden in other ways. I grow extra vegetables each year, so that — weather and pests permitting — I can share them with friends and the local food bank. The Garden Writers Association sponsors a formal program to foster this idea. They call it Plant a Row for the Hungry. You can do likewise in your garden. Or if you don’t have space for a food garden in your yard, consider helping with a community garden. The university in the town adjacent to mine runs a successful community garden program on campus. The bounty is shared with university staff and other community members who want to supplement their diets with fresh-grown produce. And the land conservancy organization in my region supports what it calls the Local Farms and Food platform of their mission by allowing local food banks to operate community gardens on some of the arable lands being preserved by this organization. Arable land — an increasingly scarce commodity in my rapidly urbanizing area — is not just preserved, but put to its best use. I’m sure my region isn’t the only place with such garden-expanding opportunities. If you are inclined to try expanding your garden in such ways, check with your local colleges, food banks, and land conservancy groups. If they aren’t already growing food to feed the hungry, maybe you can help get such a program started. I also expand my garden by sharing it with friends who need a little extra beauty in their lives. Last year, I cleaned up and planted a tiny garden space at the home of a friend battling a major illness. Knowing she would be spending many days recuperating at home, I hoped that this small plot full of color would lift her spirits. Because she likes to cook, I also planted a pot full of culinary herbs that could sit on her patio, a few steps from her kitchen. This year, another friend recovering from a major health challenge has a lovely empty garden space beside her new house. She is excited about planting this area with native flowers that will bloom enthusiastically and attract pollinators. 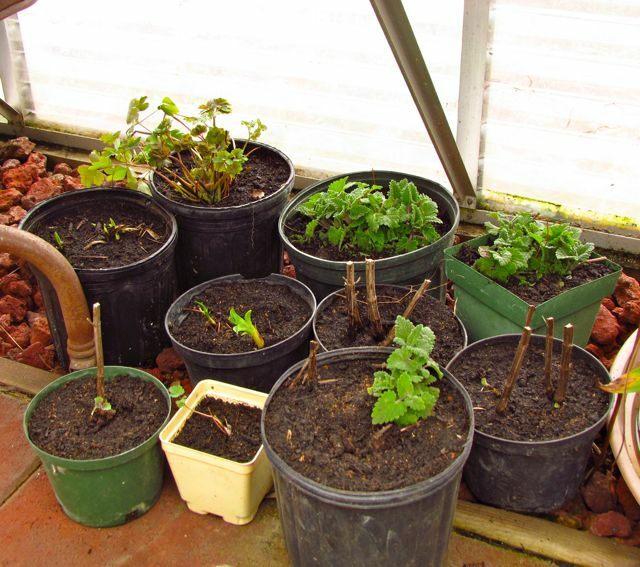 I’ve begun potting up some of my garden multipliers for later spring transplanting to her new bed. 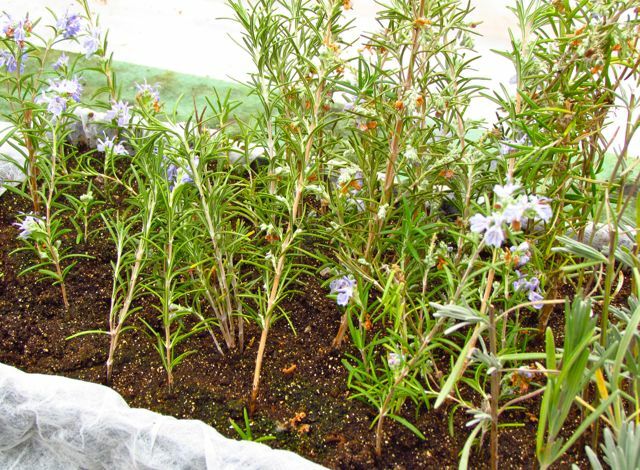 And during yesterday’s absurdly mild weather here, I took cuttings of rosemary and Spanish lavender, placing them in a flat in my greenhouse. 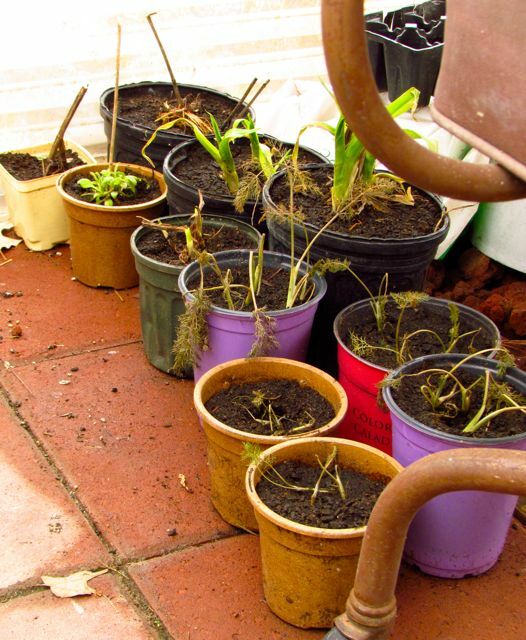 By the time spring arrives, they will be well-rooted and ready for new homes. 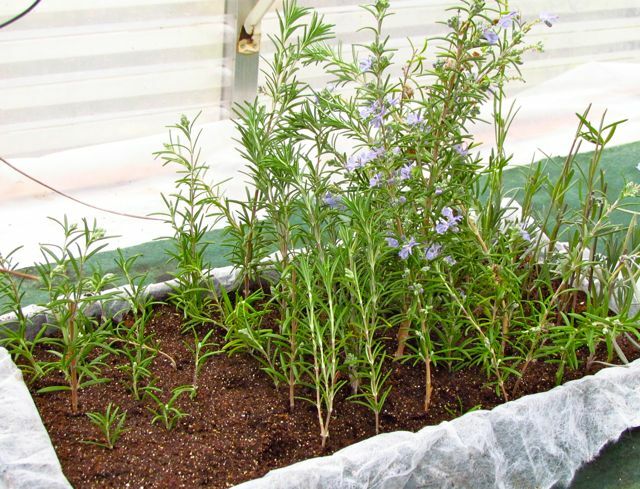 Rosemary and lavender cuttings will root easily in the greenhouse in a few weeks. In my opinion, every southern Piedmont home should have a few rosemary shrubs growing nearby, for enhancing culinary masterpieces and inhaling their aromatically therapeutic properties. As the years make my joints creakier, expanding my physical garden at home will likely become impractical. But I will always be able to expand my green world in these other ways. 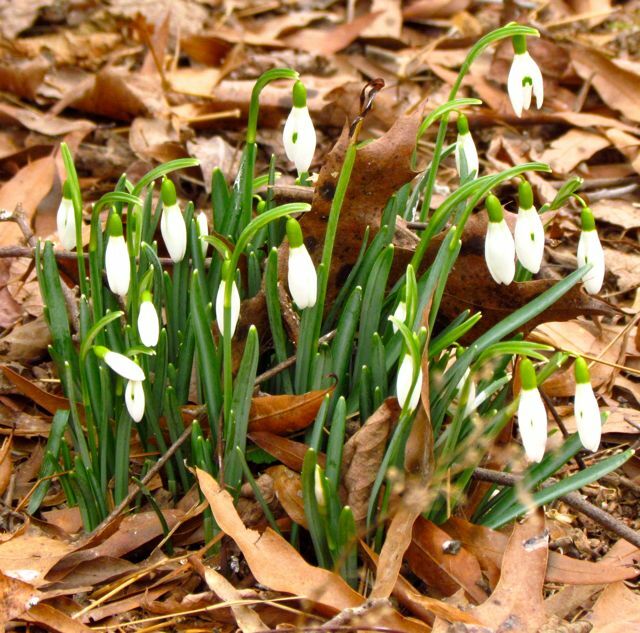 As you readers of this blog plan your own spring and summer gardens this year, I encourage you to expand your thinking beyond your personal garden space. Whose life can you lighten by sharing your garden this year?